to ensure success and sustainability for generations. The Roe Group of Companies is privately (family) owned and one of the fastest growing business groups in the country of Belize in Central America. 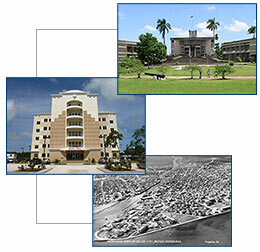 For nearly a half-century, the Roe Group has been an important part of the business community of Belize, with companies that have contributed to the country's growth in multiple industries reaching from insurance to hotels and distribution to manufacturing and financial services. The Roe Group prides itself on its record of corporate responsibility in many areas that are critical to the further growth and development of Belize. National development The Group is committed to seeking business opportunities that will strengthen the Group and contribute to Belize's growth and development. Community service Contributing time, talent and financial support to organizations like Scouting, Rotary Clubs, Orphanages, Salvation Army, Youth Sports and many more is a way of life for Group Companies and hundreds of their employees. Environmental preservation Setting aside several thousand acres of its land in the country's unique Mountain Pine Ridge area as a nature reserve is just one example of the Group’s commitment to preserving Belize’s unique beauty and environment. Employee development The Group is a national leader in employee training, educational benefits, deferred compensation plans, employee insurance programs and internal Human Resource development.